The only good thing about this waste of ink & trees, is that it has been written a million other different ways. How I inderstand the love for the era, but lets stop writing it the same way , a half a million times.Assuming the book is used for an 8th grade book report, skip the gruelling read & just buy the cliff notes. If someone actually gave you this waste of time as a cruel joke, then sift through the book quickley and then you will have the idea, just like the million other books that are wrote about this book,C/mon lets stop killing trees! Gabrielle Gilkison - Gabrielle lives in Omaha, Nebraska. She has received a Master’s Degree from the University of Nebraska at Omaha. Currently, she teaches at several area universities as an adjunct professor. An avid reader, she has special interests in history and historical fantasies, as well as in science and science fiction. 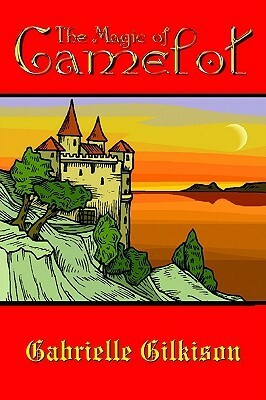 The subject of Camelot has been an obsession for nearly twenty years.